Our entire family went into crisis when it was discovered that our 14-year-old son had snuck out of the house on a Thursday night to go with a neighbor and purchase a bag of pot behind our local movie theater, and on Saturday night, lied to my husband and went on his bike to a neighborhood spot and smoked pot out of a homemade “ghetto pipe.” We found out everything the next day by going through his text messages. Needless to say, we were all devastated. But inside of the devastation was anger, confusion, intense hurt, frustration and a hopelessness. Sam is the fifth child of six and our only boy. We are a very close family and, as parents, deeply devoted to the nurturing and training of our kids. We have been married almost 26 years and have always worked in the ministry, so Sam had been brought up in the church and taught the things of God’s Word. Both of us spent time talking with Sam about the importance of purity and of staying away from anything that could destroy his life and body, including drugs, alcohol, tobacco. But, off and on for the last two years, he has been pushing the envelope and experimenting with “harmless” substances that were in fact gateway behaviors: drinking red bull from shot glasses, smoking smarties, and then I caught him and two friends snorting Crystal Light off my counter like cocaine. Two weeks after the snorting incident, he purchased pot for the first time. We both flipped out on him when everything came to light. We were yelling, and crying and hitting him in the arm. We kept screaming, “Why? What were you thinking? How could you do this? You have lost all trust,” etc. The next evening, I sent an e-mail, asking Dr. Phil for help because we were out of control and paralyzed at the same time. We had lost perspective and could not get it back. Everyone was so kind and encouraging throughout the process of coming on the show. 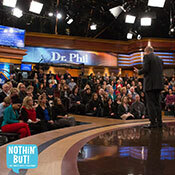 Just talking to everyone helped settle us down, and we believed that Dr. Phil would help us find, if not the answer, at least a game plan in order to move forward. When Dr. Phil told us we couldn’t feel like failures because that would cause us to give up, and we still had a lot more parenting to do, that put a fight back in us. When he said that sometimes you can do everything right, and a kid can still make a bad decision, because it was his decision, that put a hope back in us. But when Dr. Phil asked Sam directly if he could go home and get some education etc., or did he need to go someplace for awhile, where he couldn’t make a wrong decision, and Sam said he needed to go somewhere, that put a purpose in us. 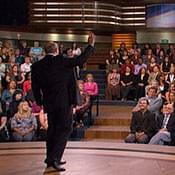 The statement that Dr. Phil made, that Sam knew something about himself that we didn’t, changed our course dramatically! Dr. Phil’s staff put us in touch with SUWS of the Carolinas, and Sam went to Asheville, North Carolina for the longest, most brutal five weeks of his life. He experienced situations and people as never before. He discovered things about himself that were alarming. He went through many ups and downs. We originally were taking him with us to a church conference and his sister’s graduation in Sydney, Australia, and were on track to do so, until some behavioral issues came up, and his counselor recommended that we go on to Australia and leave him for an extra two weeks. We agreed at first, but after much prayer, we decided to get him a little early and take him with us. So, after being told he could not go on the family trip, seven days later, Sam found out he was coming with us. We picked him up, and it was a wonderful, honest time together. He has learned the importance of communicating what is going on inside of him, and he is one grateful young man for his life. He rededicated his life back to the Lord, and he is going to weekly counseling here in Tulsa. Both Tim and I went to a therapeutic family reconciliation seminar, and we will join Sam in family counseling. If we could tell other parents anything, it would be to pay attention to everything and take action quickly when you see behaviors that are disturbing. Don’t look the other way and hope things as serious as drugs will just go away on their own. Even when it seems like your teenager wants you to leave them alone in their confusion, do not abandon them because that’s when they need you the most. 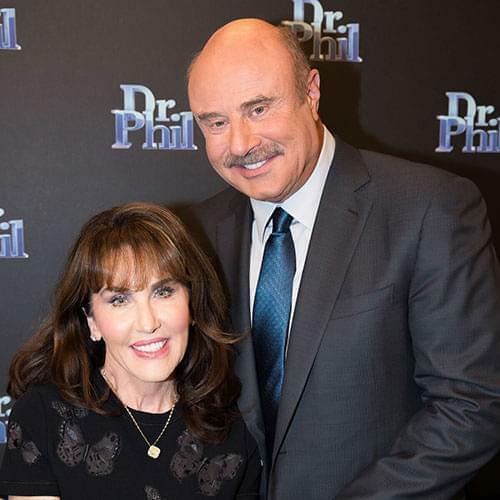 I can’t emphasize enough how thankful I am that we acted so quickly and so dramatically, and that the Dr. Phil show took our concerns seriously and pointed a way through the valley. One more thing: Tim and I so wanted Sam to speak out or write down sentiments of heartfelt words asking our forgiveness. Instead, we took the initiative and asked his forgiveness for some of the unintentional things we had done that contributed to his feelings of detachment. That simple act on our part has created such open, honest communication throughout our entire family and caused Sam to drop his excuses and just be sorry.